As arthritis may affect some parts of the knee much more it may not be necessary to do full total knee replacement. 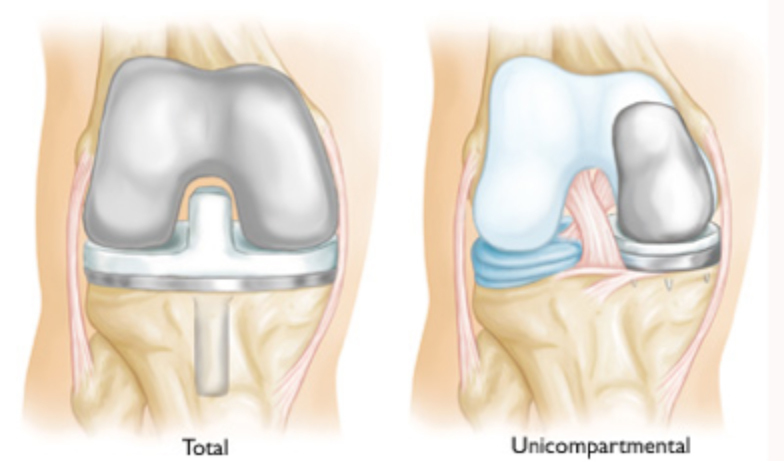 By a relatively small operation the inner (medial) side can be replaced very well by a partial knee (Oxford Knee replacement) or the worn knee cap (Patello-femoral knee replacement) can be relined to give sustained pain relief AND avoid pain for many years. These replaced joints last for very many years or till the rest of the knee wear out.